Description Easy Walk Harness - Extra Large - Raspberry Pink The Easy Walk Harness gently discourages your dog from pulling on the leash. Easy to fit and comfortable to wear, the Easy Walk Harness makes walking enjoyable for you and your dog. The front-chest leash attachment helps you st.. 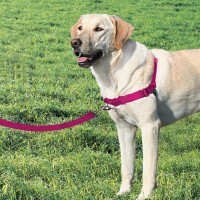 Description Easy Walk Harness - Large - Raspberry Pink The Easy Walk Harness gently discourages your dog from pulling on the leash. Easy to fit and comfortable to wear, the Easy Walk Harness makes walking enjoyable for you and your dog. The front-chest leash attachment helps you steer your dog.. Description Easy Walk Harness - Medium - Raspberry Pink The Easy Walk Harness gently discourages your dog from pulling on the leash. Easy to fit and comfortable to wear, the Easy Walk Harness makes walking enjoyable for you and your dog. The front-chest leash attachment helps you steer yo.. Description Easy Walk Harness - Medium-Large - Black The Easy Walk Harness gently discourages your dog from pulling on the leash. Easy to fit and comfortable to wear, the Easy Walk Harness makes walking enjoyable for you and your dog. The front-chest leash attachment helps you steer your dog t.. Description Easy Walk Harness - Medium-Large - Raspberry Pink The Easy Walk Harness gently discourages your dog from pulling on the leash. Easy to fit and comfortable to wear, the Easy Walk Harness makes walking enjoyable for you and your dog. The front-chest leash attachment helps you steer y.. Description Easy Walk Harness - Medium-Large - Red The Easy Walk Harness gently discourages your dog from pulling on the leash. Easy to fit and comfortable to wear, the Easy Walk Harness makes walking enjoyable for you and your dog. 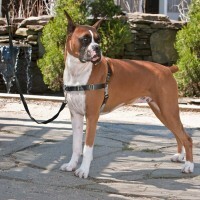 The front-chest leash attachment helps you steer your dog to .. Description Easy Walk Harness - Small-Medium - Black The Easy Walk Harness gently discourages your dog from pulling on the leash. Easy to fit and comfortable to wear, the Easy Walk Harness makes walking enjoyable for you and your dog. The front-chest leash attachment helps you steer your dog t.. Description Easy Walk Harness - Small-Medium - Raspberry Pink The Easy Walk Harness gently discourages your dog from pulling on the leash. Easy to fit and comfortable to wear, the Easy Walk Harness makes walking enjoyable for you and your dog. The front-chest leash attachment helps you s.. Description Easy Walk Harness - Small-Medium - Red The Easy Walk Harness gently discourages your dog from pulling on the leash. Easy to fit and comfortable to wear, the Easy Walk Harness makes walking enjoyable for you and your dog. The front-chest leash attachment helps you steer your dog to .. 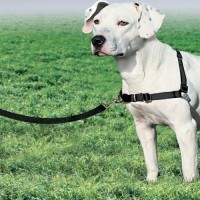 Description The Easy Walk® Deluxe Harness is designed to gently discourage dogs from pulling while walking on a lead. Unlike traditional collars, the Easy Walk® Deluxe Harness does not cause coughing, gagging or choking because the chest strap rests low across the breastbone. Its unique, front-ches..